Good and reliable cleaners can be hard to find. That's why recommendations from Local Mums are so important. We recommend the best cleaners in our area. We launched in London and have seen exceptional growth, leading to expansion throughout UK, Ireland and Europe; now operating in Manchester, Leeds, Birmingham, Dublin and Paris - carrying out over 40 thousand hours of cleaning every month in London alone. 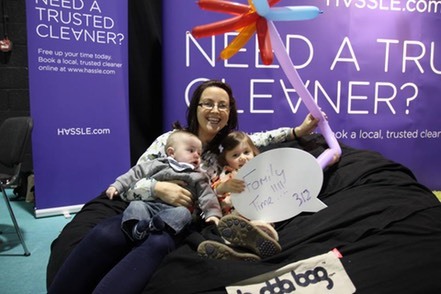 Just for Local Mums, we wanted to give you your first 2-hour clean for only �1! Leave the cleaning to us and get your free time back today with one of our professional�Hassle.com�cleaners.